The largest city in Texas and the fourth largest city in the United States, Houston is a sprawling urban attraction with numerous tourist spots, array of cafes and restaurants, wonderful shopping destinations and great city life culture. The diverse cultural origin of the natives of Houston makes for the real excitement in the city and has iconic attractions for tourists. The city is also known for eccentric nightlife and treating guests to absolute culinary delight. 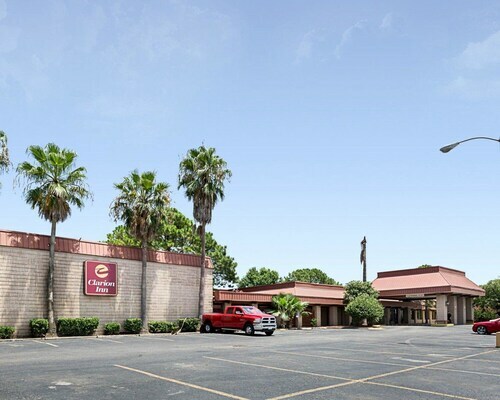 As the city is visited by tourists from all across the world, Houston has a wide array of hotels meeting every need and budget of the travelers. Whether you are looking for luxury hotels in Houston or affordable hotels in Houston, you will find it all here. 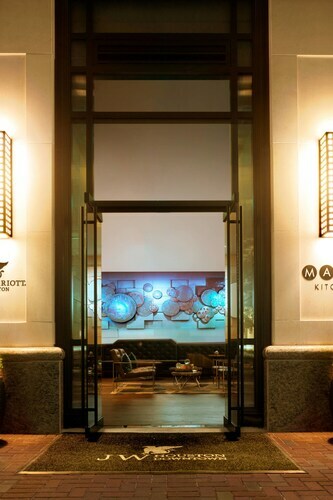 Since getting the best Houston hotel deal is a bit difficult so, we at MyFlightSearch have partnered with top hotel chains to provide the best Houston hotel deals available online. 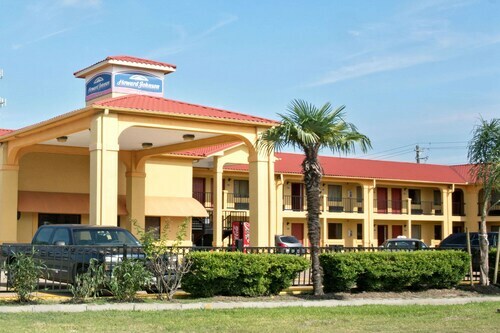 Check out our collection of cheap hotel rooms in Houston and save big on your trip. February to April is considered the best time to visit Houston when the weather is pleasant and not very warm, unlike the summer months. Moreover the city hosts many festivals during this season and of the biggest event in March is the Livestock Show and Rodeo. However, as the tourist influx is high during this time Houston accommodation becomes very expensive. So if you want to avoid paying high price and the rush of the peak season, book hotels in Houston well in advance. If you are looking to save on your trip to Houston, then visit this amazing city in the fall months i.e. from September to November. During this time, the temperature drops and it is pretty pleasant. Moreover, the city is less crowded and getting a hotel room in Houston is not that tough. The best part is that many of the top hotels in Houston offer exclusive deals and discounts to attract tourists. The Houston Livestock Show and Rodeo is considered the largest livestock exhibition and rodeo in the world. This is considered the city’s signature event and is being held in the city since 2003 in the months of February-March. Concerts, livestock shows, rodeo competition, carnival, and BBQ are some of the main highlights of this grand festival. Established in 1924 Memorial Park is an urban park which is a popular place for jogging and walking as it has a 2.88 mile trail. It is also a great spot to enjoy outdoor activities like mountain biking, tennis, swimming and many other activities. The Galleria is a huge shopping mall spread across 2.4 million square feet of space and houses around 400 stores. Most of the top notch brands of the world like Burberry, Chanel, Giorgio Armani and Gucci can be found here. This mall also offers 50 dining options to the visitors. The Space Center Houston is one of the main attractions of the city. The official visitor center of NASA’S Johnson Space Center, this place has lots to offer. Visitors can walk through the replica space shuttle and also know about NASA’s upcoming missions. Situated in 55 acres land in Hermann Park, this zoo is very popular among children as well adults Houston zoo is home to around 6000 animals and also features children’s zoo as well as an educational center. Some of the main highlights here are sea lions, otters, feeding the giraffes, the aquarium and more. The Holocaust Museum in Houston is a great place to known about the World War II. The exhibits inside the museum consists of film footage of the war and concentration comes. Other interesting exhibits include the Danish boat which rescued more than 7000 Danish Jews, photographs, documents and artifacts. Opened in the year 2000, the Minute Maid Park is a ballpark or a baseball park which has a seating capacity for 41,168 spectators. Formerly known as Williams Waterfall, this multistory sculptural fountain was designed by John Burgee Architects and Philip Johnson. The Heights Theatre is situated in a movie theatre of 1900s. Today, it has become a popular venue for various events, especially live musical performances. Nicknamed the ‘Garage Mahal’ the ArtCar Museum which was opened in 1988 is a private museum dedicated to contemporary art. Only second to New York City in corporate headquarters of Fortune 500 companies Downtown is the center of the city and home to the big businesses and finance offices in Houston. It is also home to the third largest theater district in the United States, being home to World Class Permanent Organizations like the Houston Symphony, Alley Theatre, Theatre Under the Stars and Houston Ballet and has great attractions among the tourists. Also accommodating guests to the city are world class luxury resorts with grand amenities and the best of the business suites. Downtown is also close to the Houston Zoo and the Downtown Aquarium, both of which play an important role in tourist attraction in the city. Located west of Downtown bounded by the Interstate-10 and the US highway 59, Neartown is the district with numerous cafes, restaurants, good budget-friendly accommodations, great local bars, gay cafes and cool nightlife. The district offers both cheap hotel accommodations alongside luxury amenities and welcomes Gay travelers as well. And tourists to Neartown can visit the landmark attractions like the Chinese Consultant Building, Menil Collection, Rothko Chapel. But the greatest attraction in this Houston district is the terrific nightclubs with eclectic and diverse crowd. Average cost of a hotel room in Houston? An average hotel room costs around $40 to $70 per night in Houston. Average cost of a hotel room in Houston during the weekend? An average hotel room in Houston during the weekend costs around $50 to $90 per night. Which are the most popular Houston neighborhoods to stay for Business Traveler? Downtown, Neartown and Energy Corridor is the most popular neighborhood to stay in Houston for Business Travelers. How much do you tip a porter at a hotel in Houston? Pay $1-$2 per bag tip to a porter at a hotel in Houston. The best time to book hotels in Houston is at least 60 to 90 days before the departure. The advance reservation of hotels in Houston will save both money as well as get you away from the last minute rush. Located 23 miles from Downtown Houston, George Bush Intercontinental Airport is the main airport serving the city of Houston. This airport is served by top airlines of the world like Air France, Air China, British Airways Lufthansa and many others. Finding hotel rooms near Houston airport is not much of a trouble. You will find plethora of hotels in Houston airport right from budget hotels to boutique hotels in Houston.